Nissan JDiag Elite II is a professional programming equipment which can fully support the international programming protocols SAE J2534-1 and J2534-2, it has powerful functions, stable performance, professional intelligence, is the best choice for the comprehensive vehicle maintenance shop to do the high-ranking professional vehicle diagnosis and programming. 1.This one is for Nissan only, do not support other cars. 2.This one is Standard package,the hardware is JDiag Elite II Pro Interface, OBDII Cable, USB Cable and Lan cable, There has no old car adapter inside, so it only work for Cars after 1996. 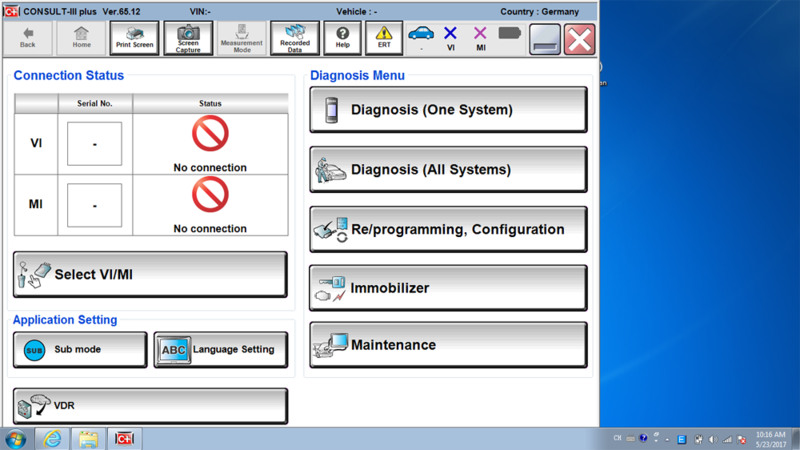 3.Wifi is for diagnostic only, please do not use wifi for programming. 1. The JDiag Elite II Interface can connect with Laptop via wifi ,USB Cable or Lan cable. 2. If you order it with HDD,software was well installed in hard disk, plug and play,it can fit for most dell laptops. 5. It's multi-languages,you can change the language by yourself.